In the medical device arena, pre-market approval (PMA) submissions to the FDA keep taking longer and longer to process, according to Bob Rhatigan, senior vice president of facial aesthetics for Allergan Inc. The Food and Drug Administration is paying attention to the little things—the very little things. The FDA recently released guidelines for industry on the use of nanotechnology in food and cosmetics. The draft guidelines have been issued for public comment, according to the FDA website. 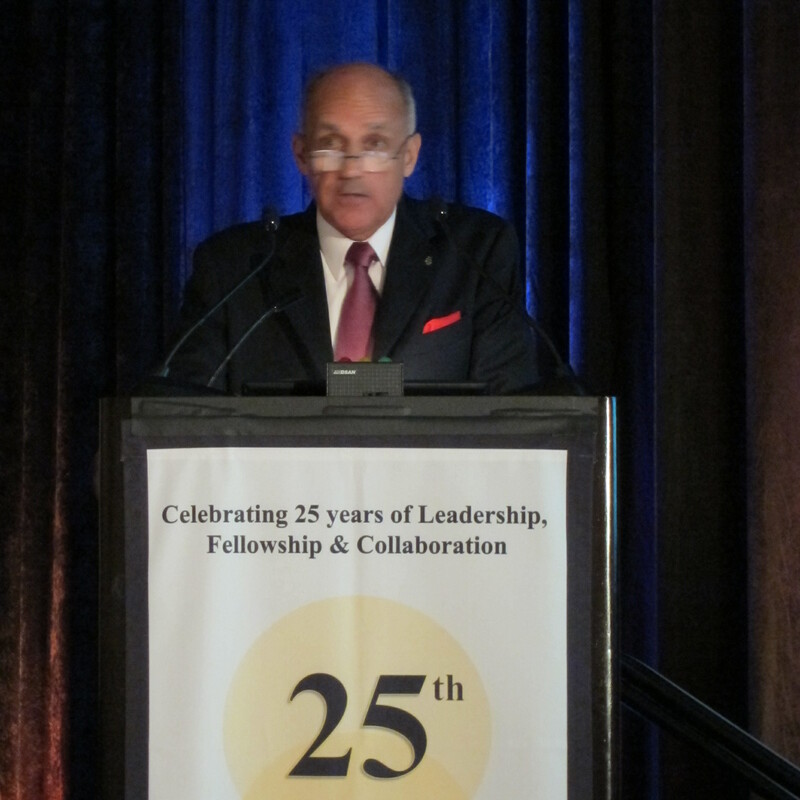 The Nanodermatology Society issued a statement in response to the guidance for nanotechnology use in cosmetics—an issue that will continue to interest dermatologists as the technology evolves. The NDS stated its belief that the FDA has a responsibility to ensure the evaluation of nanomaterial use in cosmetics, including both over-the-counter and prescription products. 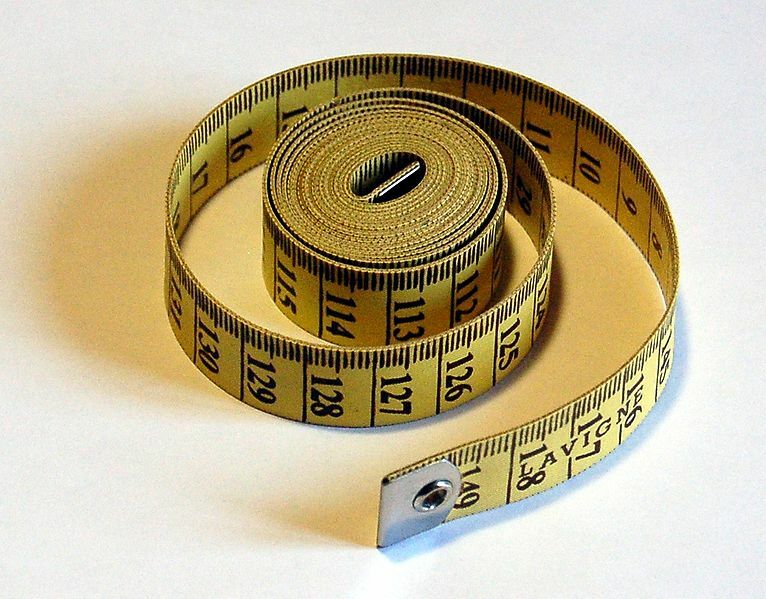 The guidelines must measure up to the science, however. “The NDS believes that the guidelines should not be based on controversial evidence, weak evidence, or pure conjecture,” according to the NDS statement. To that end, the NDS pointed out a few areas of the guidelines where scientific evidence could be more complete. For example, with respect to titanium dioxide, the NDS notes that “TiO2 can accumulate in tissues such as kidneys, but can also be eliminated, for example, in the liver in some animal models.” In addition, the NDS notes that a guideline proposing that penetration studies should be conducted on both intact and impaired skin might not be appropriate in cases where products are recommended for use on intact skin only. In addition, the NDS recommended an expiration period for the final guidelines, due to the swift evolution of nanotechnology. What’s your take? Should the FDA monitor nanomaterials in cosmetic products? Foreign-made skin-lightening creams, found to contain toxic levels of mercury, are poisoning users as well as the people they live with, according to a report from the Centers for Disease Control and Prevention. The CDC identified a Mexican-made cream as the likely source of mercury exposure in 22 people in 5 households in California and Virginia. While previous cases have shows similar levels of mercury exposure from skin-lightening creams, this is the first instance where exposure has been measured in non-users, CDC said. The non-labeled creams contained 2%-5.7% mercury. 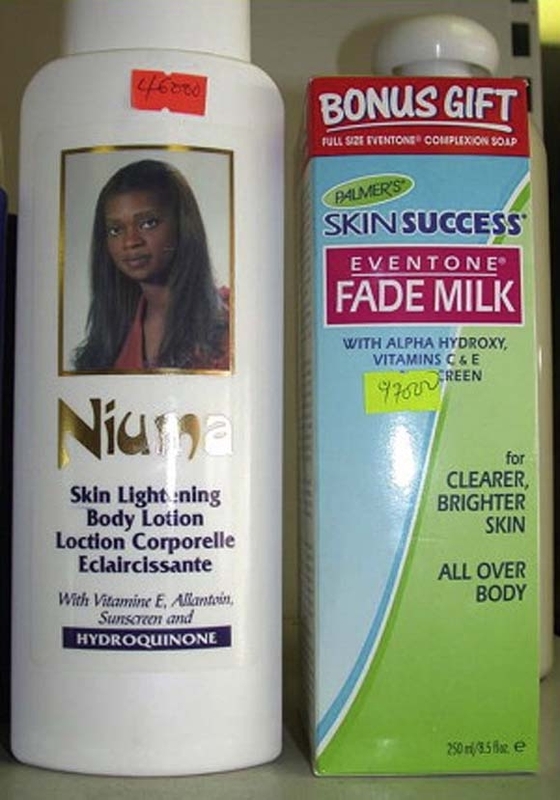 Skin lightening agents that are readily available for sale in Ghana/ ©2011 Elsevier Inc. All rights reserved. Among the sample, 15 people ages 8 months to 67 years had elevated urinary mercury concentrations (9 users and 6 non-users). Non-users were exposed to the mercury through contact with cream users or with contaminated household items, the CDC said. Younger children, compared to older children, had much higher concentrations. While 15 people had elevated mercury levels, only 6 (all users) exhibited symptoms of mercury exposure. Users of the skin-lightening creams said they had used it as an acne treatment, for skin-lightening, and to fade freckles. Although mercury-containing creams are banned by the Food and Drug Administration, high levels of mercury have been found in foreign-made skin-lightening creams across the country, including Chicago, New York, Minnesota, and Baltimore. In 2010, an FDA spokesperson told the Chicago Tribune that with fewer than 500 inspectors dedicated to reviewing imports, banned items often get through anyway. The FDA could not comment before press time. The CDC advises clinicians who recognize mercury toxicity to consider mercury-containing creams as a possible cause, even for children. Consult a medical toxicologist before beginning treatment, CDC advises. Can Pill Color Prompt a “Nocebo” Response? What’s the opposite of a placebo? An active drug, of course. But what’s the opposite of a placebo response? That would be a “nocebo” response, in which placebos produce adverse side effects. “It’s somewhat hypothetical, but you can imagine that if somebody feels they will get better, they will get better, and if they feel that they’re taking something that’s not good for them, they might get worse,” according to Dr. Allan Krumholz, professor of neurology and director of the Maryland Epilepsy Center, Baltimore. Pill color and appearance have been identified as a potential source of “nocebo” response, and differences in appearance between brand-name and generic drugs have been postulated to explain why some patients experience increased adverse events when they switch from brand-name to generics. In response to this growing concern, in August 2010 the Food and Drug Administration solicited proposals for bioequivalence studies of the impact of switching from brand-name antiepileptic drug lamotrigine (Lamictal) to generic among patients with epilepsy in the outpatient setting. This is a new way of conducting such trials. “Pharmacokinetics trials across all areas of medicine have traditionally been highly controlled single-dose studies in healthy volunteers dosed in the laboratory setting,” said lead investigator Dr. Tricia Y. Ting, a neurologist who works with Dr. Krumholz at the UMD epilepsy center. Because the brand-name Lamictal and its generic counterparts look very different, the investigators decided to over-encapsulate the pills with identical coverings in order to “blind” the patients to which formulation they were taking. But in order to do that, they first needed to determine whether the color of the pill would impact the patients’ perception of safety and efficacy. A group of 80 adult epilepsy patients were shown standard AA size capsules in five “global colors” (white, yellow, gray, caramel, maroon) and asked to select any color(s) considered “unacceptable” and to rank their preferences. More patients deemed gray, caramel and maroon colors “unacceptable” (21%, 19%, and 20%, respectively) compared with the white and yellow (5% and 4%, respectively). 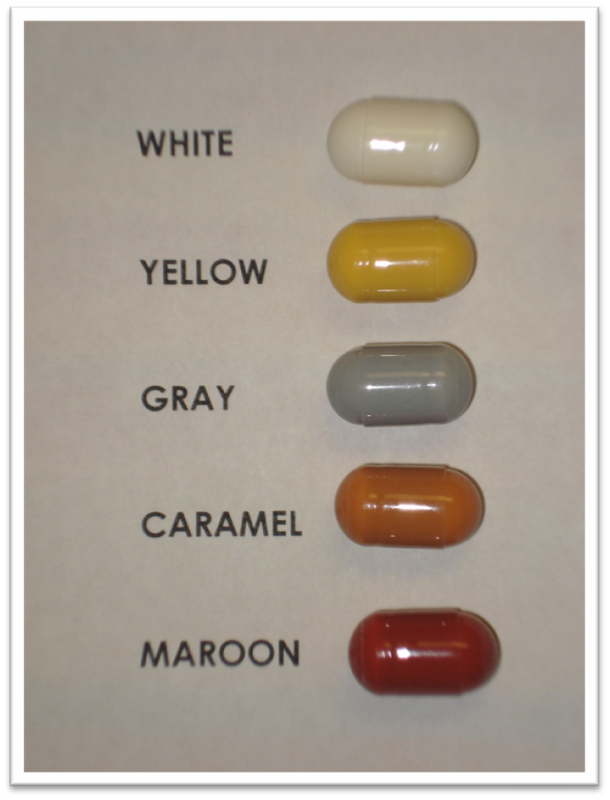 There was a clear preference for white and yellow pills over the other, darker colors, without much difference between white and yellow. But, there were patients who selected maroon as their “preferred” color. “Some people didn’t have any preference. Some had a very strong preference. One patient, an artist, liked the darker colors. It was different for different people,” noted Dr. Karen M. Aquino, a neurology fellow who worked on the nocebo study. 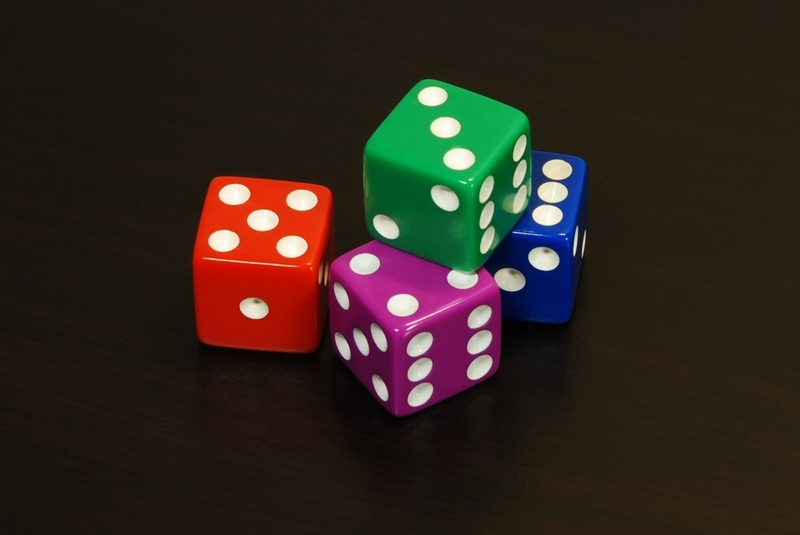 So what pill color will the bioequivalence study use? “To optimize drug adherence, white colored capsules will be used for over-encapsulation,” Dr. Ting wrote in her poster, which was presented at the American Epilepsy Society’s annual meeting in Baltimore. Dr. Krumholz and Dr. Aquino presented the pill color preference data in a separate poster at the meeting. The bioequivalence results are expected in 2013. For many women, abstinence is a reliable way to prevent unwanted pregnancy. But is it a valid form of contraception for young women who are taking the powerful teratogenic drug isotretinoin? Advisers to the Food and Drug Administration danced around that topic at a meeting examining whether the risk management program for isotretinoin — called iPLEDGE — was effectively reducing the number of pregnancies in women of child-bearing age who take the drug. Isotretinoin is indicated for a severe, scarring form of acne, but is used off-label for other types of acne, as well. iPLEDGE began in 2006. As part of the program, young women who are capable of getting pregnant are required to have monthly pregnancy tests during their course of treatment, and to use two methods of birth control. But it’s left up to the women to decide what they will use. According to data submitted to the FDA by isotretinoin maker Mylan Pharmaceuticals, after birth control pills, abstinence was the top choice for all women as a primary method of birth control. About 13% of women who became pregnant on the program were using abstinence as their primary method, with no back-up contraception. Twenty-five percent of women in the program who were not pregnant used abstinence and no back-up, and another 10% used abstinence as their primary method, with oral contraceptives as the secondary method. Among isotretinoin-using pre-teen and teenaged girls, abstinence was listed as the primary method. It was the second most popular contraceptive technique for 20- to 29-year-olds. Mylan reported that there have been 836 pregnancies in the 5 years since iPLEDGE began. Four hundred women chose to end their pregnancies, possibly because of the risk of birth defects. The company does not know the outcomes in 282 of the pregnancies. There were 45 live births; of those there were 8 children born with congenital anomalies. How many pregnancies could be avoided with more specific education for prescribers and for young women about which birth control methods are the most effective? The FDA advisers heard from Dr. Eleanor B. Schwarz, a University of Pittsburgh ob.gyn., who pleaded for the iPLEDGE program to make a strong recommendation for young women to use IUDs or contraceptive implants. Some members of the advisory committees agreed that perhaps it was time to provide a more comprehensive guide to the effectiveness of various contraceptive techniques. FDA officials were largely silent on that matter. And it’s hard to imagine them — or the isotretinoin makers — weighing in on such a dicey topic as which birth control method young women should be using. What do you think? Should the iPLEDGE program be giving young women more evidence-based information about contraceptives? Approved or not Approved? That is a Good Question. In a move last month that apparently took at least two device manufacturers completely by surprise, one center of the Food and Drug Administration recommended against an intended use of their products, despite the products’ approval and licensure by another FDA center. 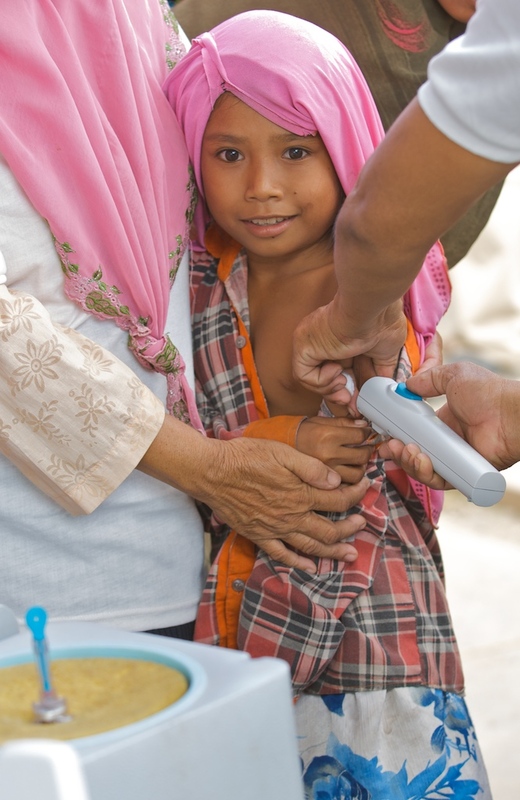 PharmaJet's Stratis is used to vaccinate a Cambodian child against measles. Photo courtesy of Heather Potters. Recent jet injector models, including Bioject’s ZetaJet and Biojector 2000 and PharmaJet’s Stratis, were approved and licensed by the FDA’s Center for Devices and Radiological Health (CDRH) as needle-free alternatives for injecting vaccines and injectable medications. Both companies had been marketing their devices for influenza immunization in the current flu season. On October 26th, the FDA’s Center for Biologics Evaluation and Research (CBER) issued a notice advising healthcare professionals that inactivated influenza vaccines should be administered only with a sterile needle and syringe. The reason: “Safety and effectiveness information that would support labeling inactivated influenza vaccines for delivery by jet injector have not been submitted to FDA.” However, CBER said, individuals who have already received a flu vaccine with a jet injector do not need to be revaccinated. Currently, only the measles-mumps-rubella vaccine is approved and specifically labeled for administration by jet injector. So what’s the concern with influenza vaccine? “A jet injector subjects the vaccine to a different pressure than it would receive during administration by sterile needle and syringe and as a result the effectiveness and the safety profile of the injected vaccine may be altered,” according to the CBER document. Evidently this information had not been previously communicated to the manufacturers. “We were provided no notice by FDA of any concerns about Jet Injectors or FDA’s statement. To our knowledge, no other needle-free injection manufacturer received notice or an opportunity to discuss this matter with FDA,” PharmaJet said in a statement. Bioject’s President and CEO Ralph Makar was similarly taken aback by the FDA notice. “The FDA communication on the use of jet injectors with influenza vaccines was surprising given that Bioject’s Needle-Free Injection Devices…are both FDA 510(k) cleared with indications for use that describe their use in delivery of subcutaneous or intramuscular injections of vaccines and other injectable drugs,” he said in a statement.